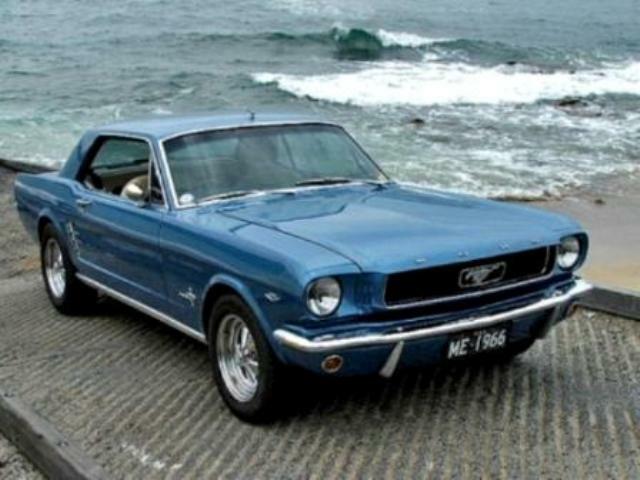 Additional Info: Originally the Mustang was going to be a 2 seater sports car, but this was abandoned. 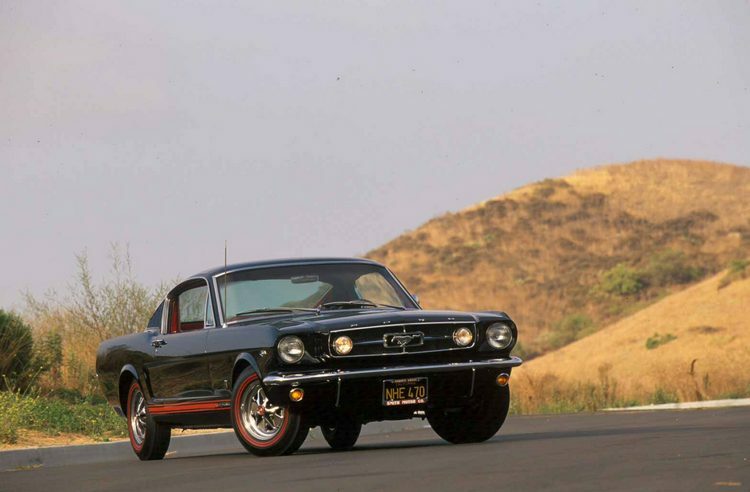 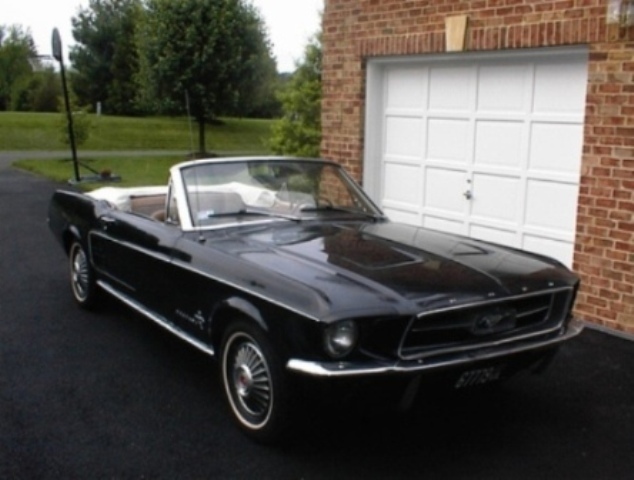 The Mustang was available as a coupe (hardtop) or fastback and then a convertible, sales far exceeded expectation. 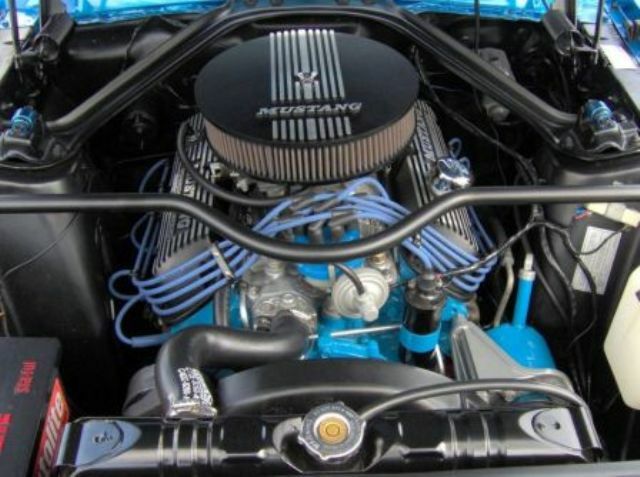 Other engine choices also included a 101bhp straight 6 engine, a 115-120bhp straight 6 engine, a 164bhp 260cu V8, a 195bhp and 225bhp 289cu V8 and a number of larger engines (see below next table). 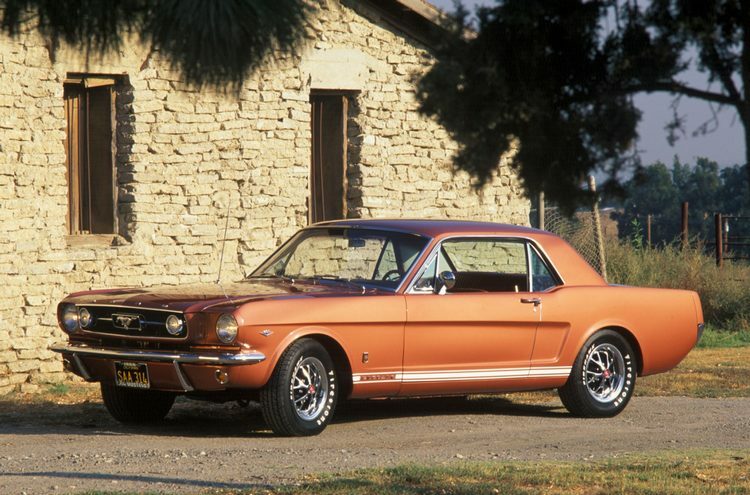 In 1967 a few changes were made to the exterior styling and interior. 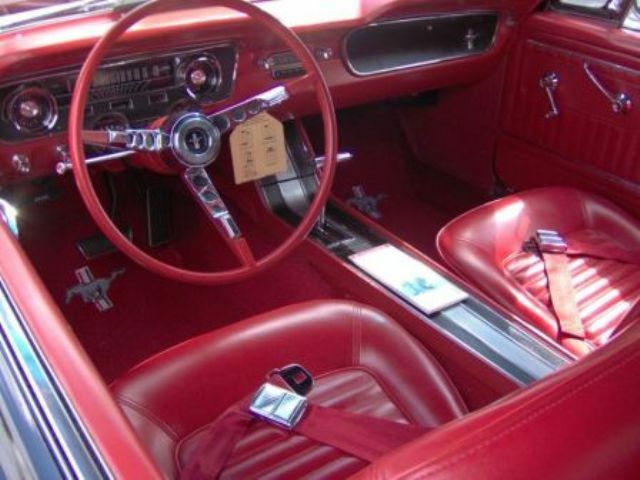 In 1968 more changes were made to the exterior and interior and also the 302 was introduced. 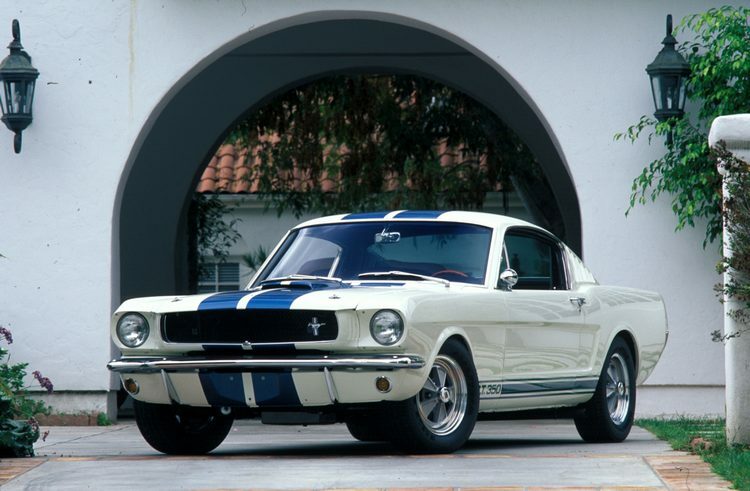 Of course Carrol Shelby produced the GT-350 (290bhp/306bhp) and GT350R (360bhp), both were 289 V8’s and the GT500 which had a 350bhp/355bhp 428cu engine (0-60 in 6.2, 1/4 mile in 14.6 secs). 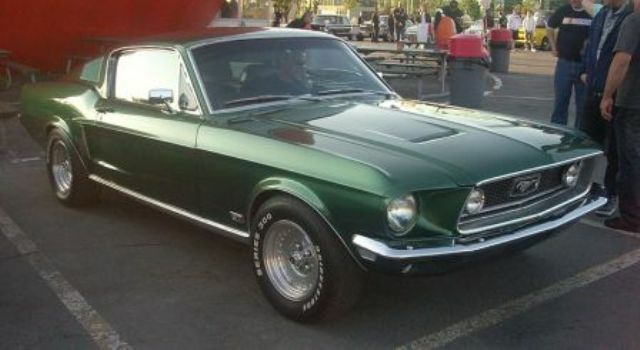 Additional Info: In order to compete against the Mustangs rival the Camaro, Ford brought out the Mustang 390 GT fastback in 1967 (a 1968 390 GT was used in the film “Bullitt”). 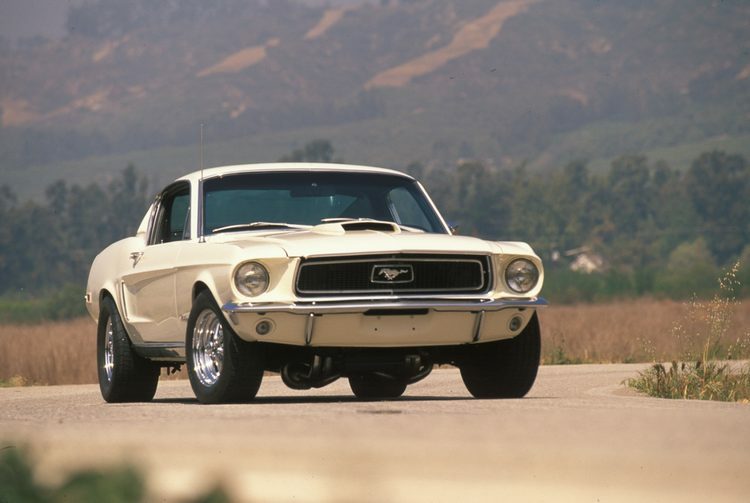 Some of the larger engines from 1968 included a 230bhp 302cu V8, another 390 V8 with 325bhp, a 390bhp 427 V8 and a Cobra Jet 428 with an official 335bhp (closer to 400+bhp), that could get to 60 in 5.4 secs. 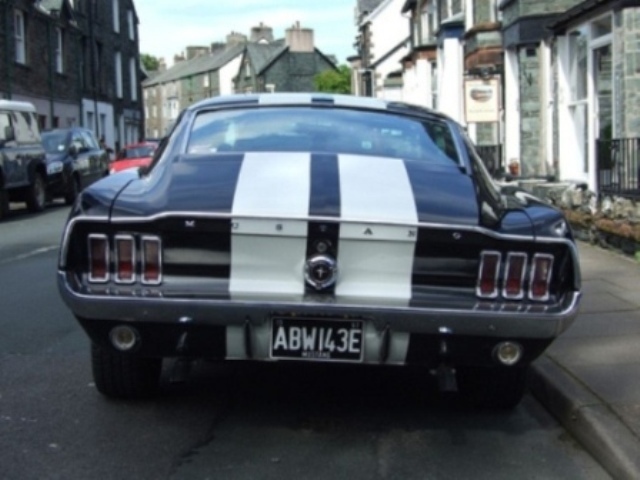 Additional Info: In 1969 the Mustang was made larger and heavier and the bodywork was completely restyled, but still recognisable as a Mustang. 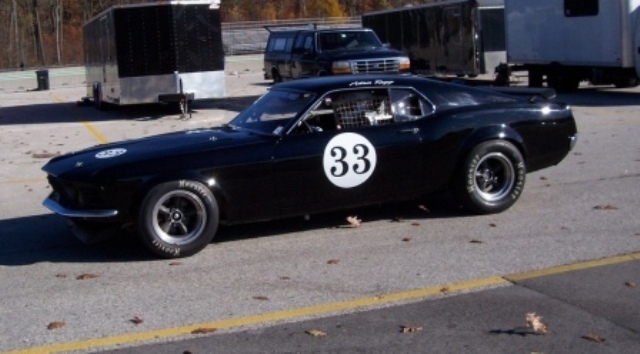 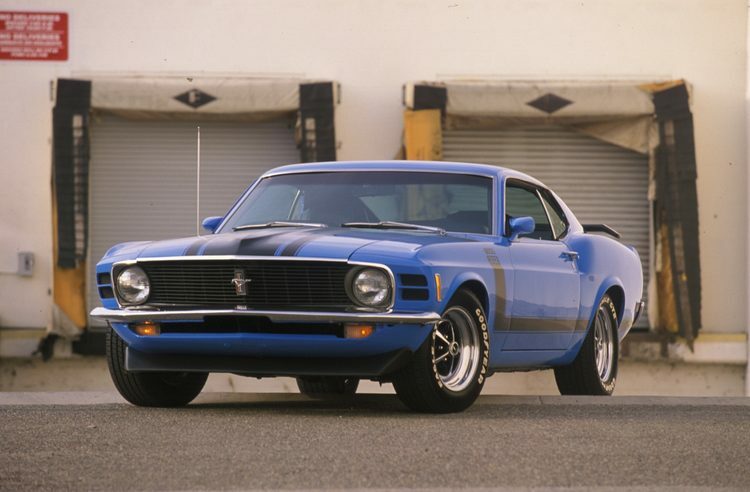 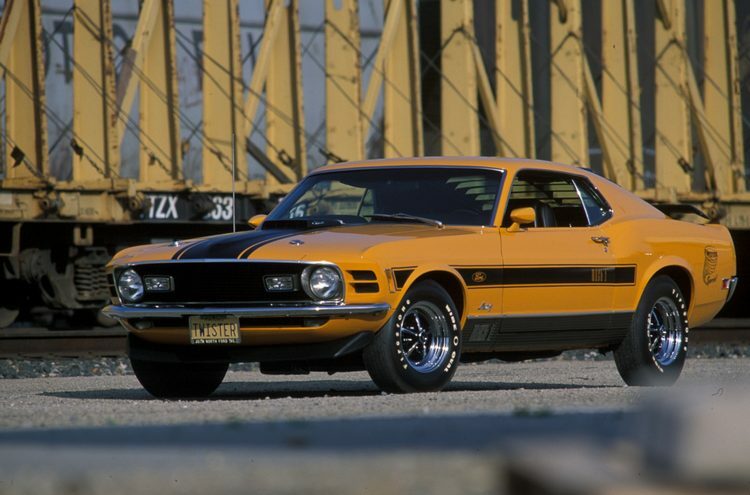 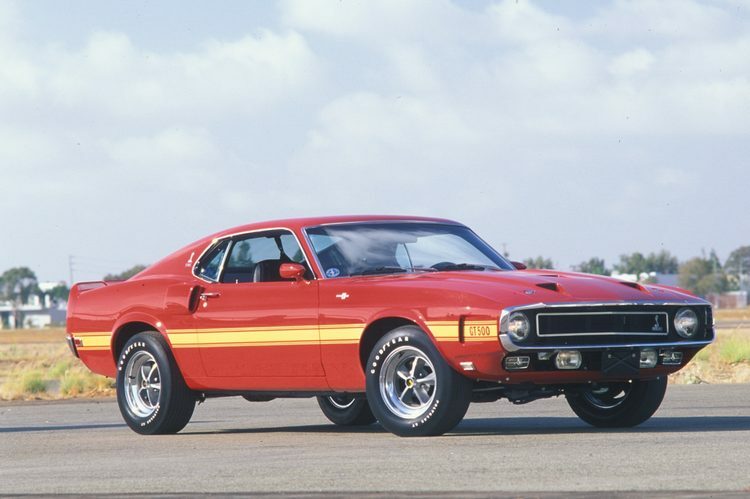 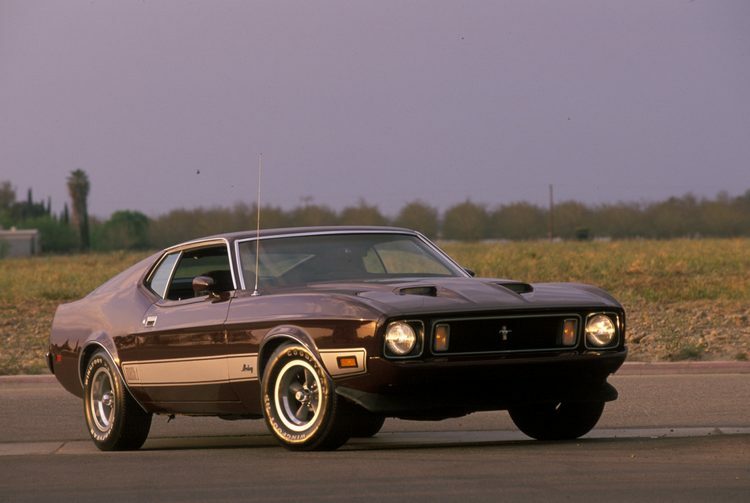 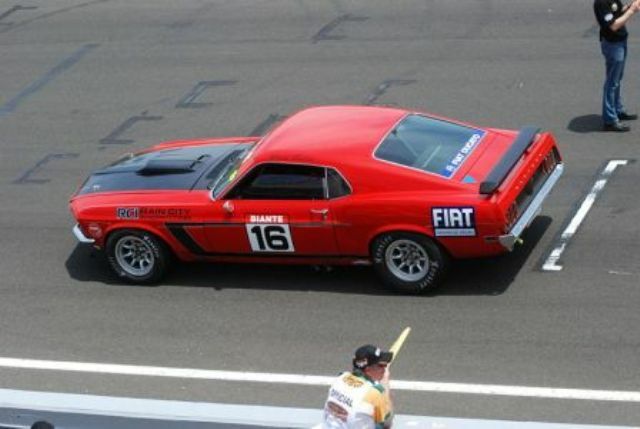 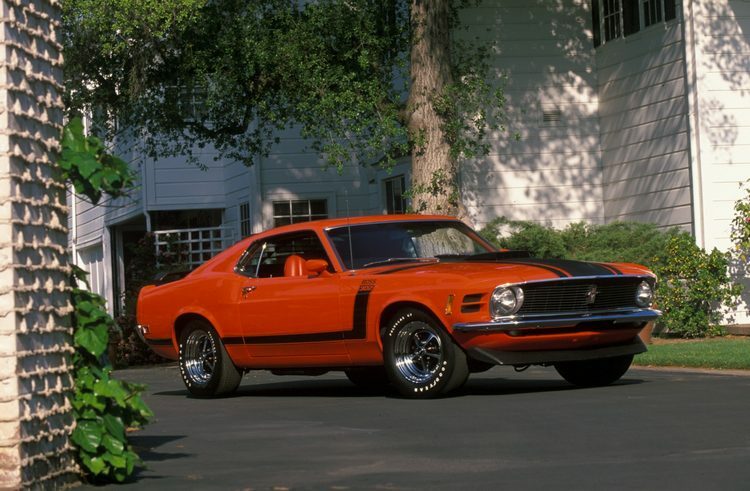 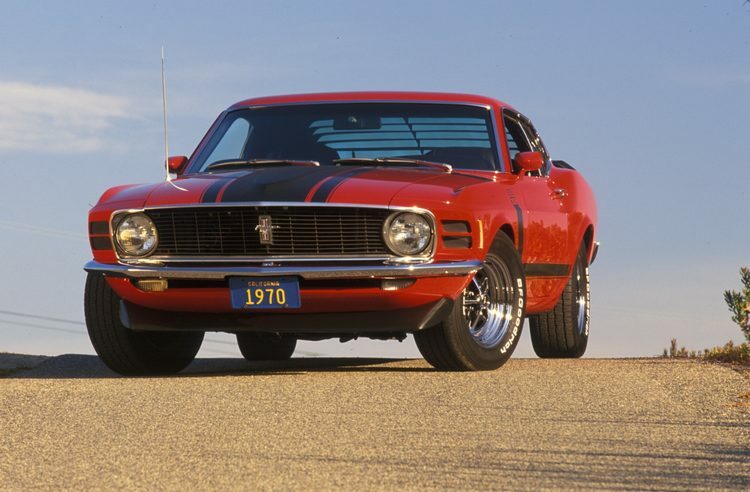 Engine choices were now: a 115bhp straight 6, a 155bhp straight 6, a 220bhp 302cu V8, the Boss 302 (see below), a 250bhp and 290-300bhp 351cu V8, the Cobra Jet/Mach 1 428cu V8 (see above) and a Cobra Jet/Boss Super Cobra Jet with a 370/375bhp 429cu V8 (0-60in 6.8 secs). 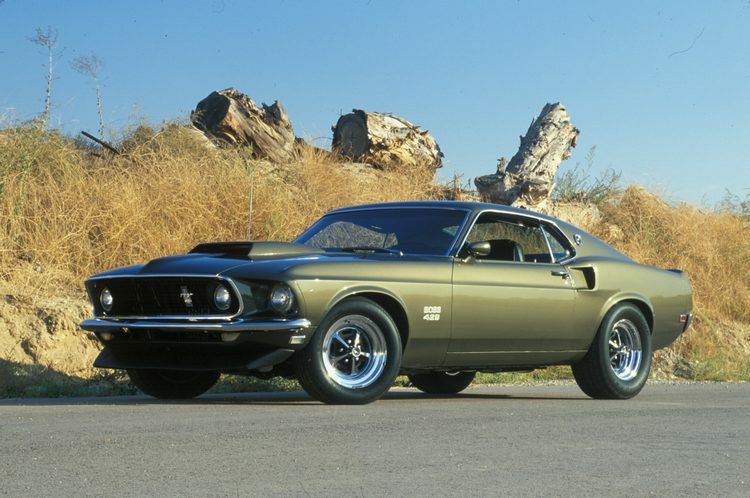 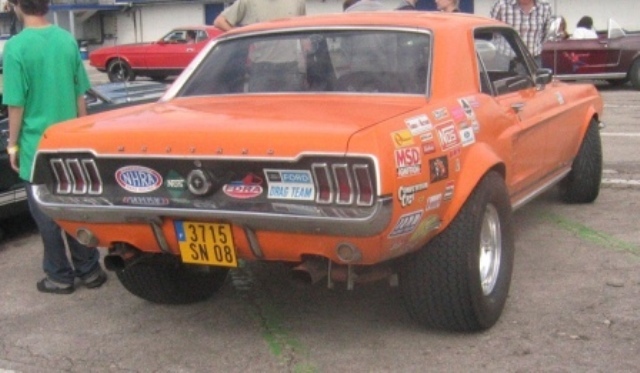 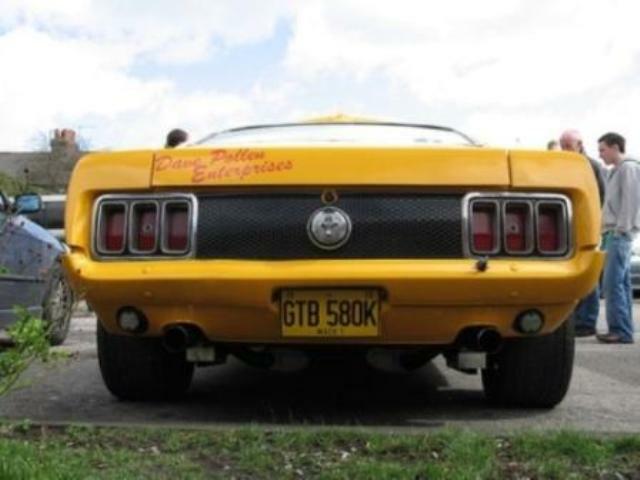 The Mustang now had a very large options list and various states of tune could be optioned, such as the Drag Pack, which added LSD and deleted the air con. 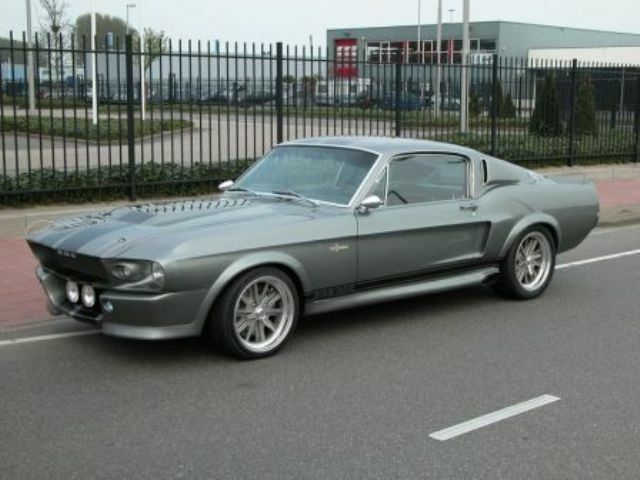 Additional Info: Uses the cylinder head from the racing 351cu engine and is said to be underrated at 290bhp. 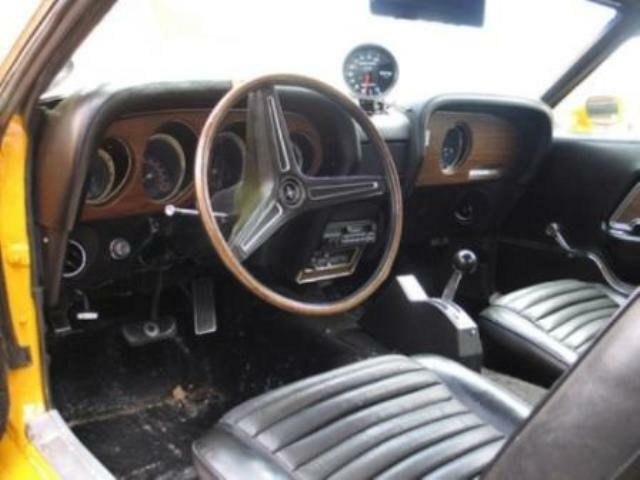 Additional Info: 250hp version available with a 2 barrel carburettor. 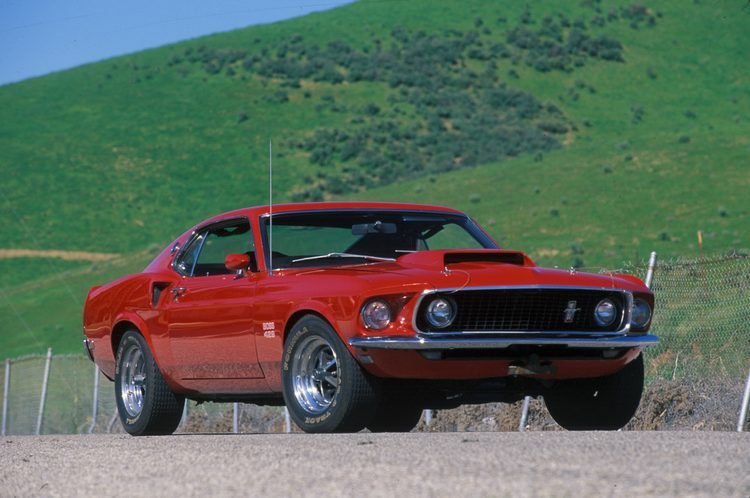 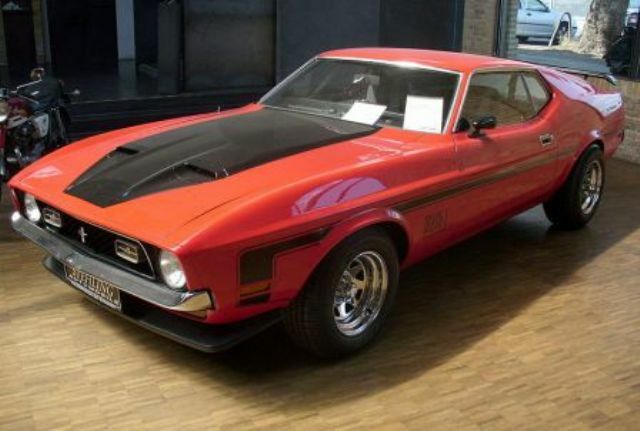 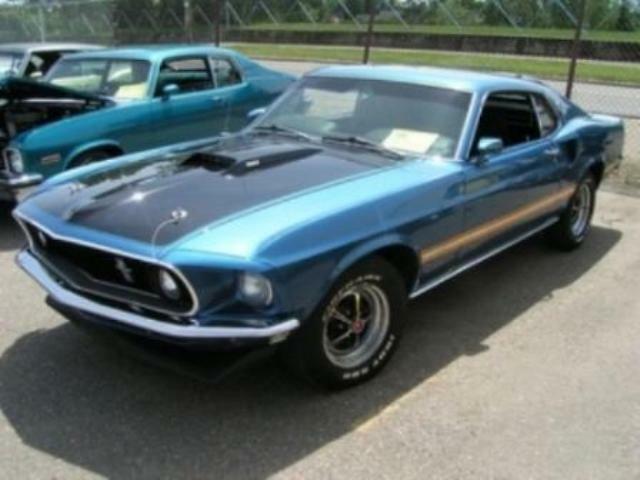 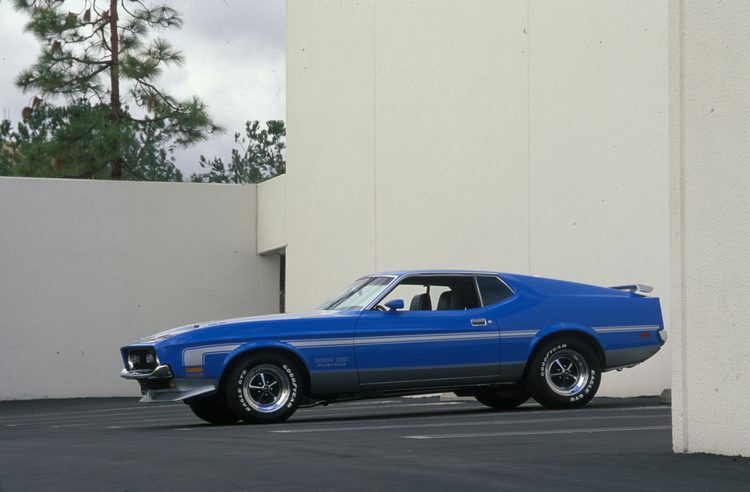 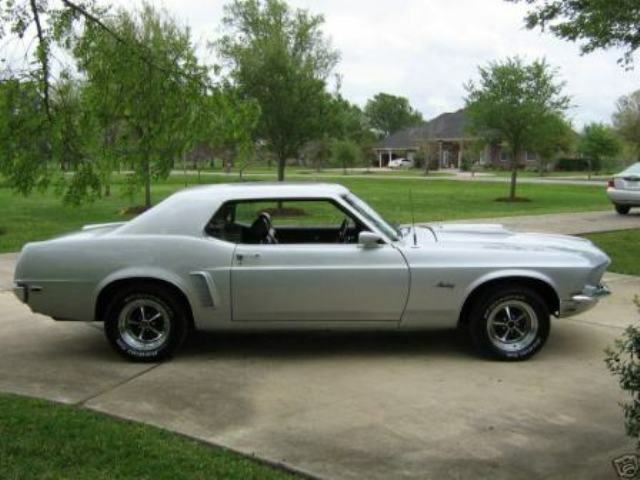 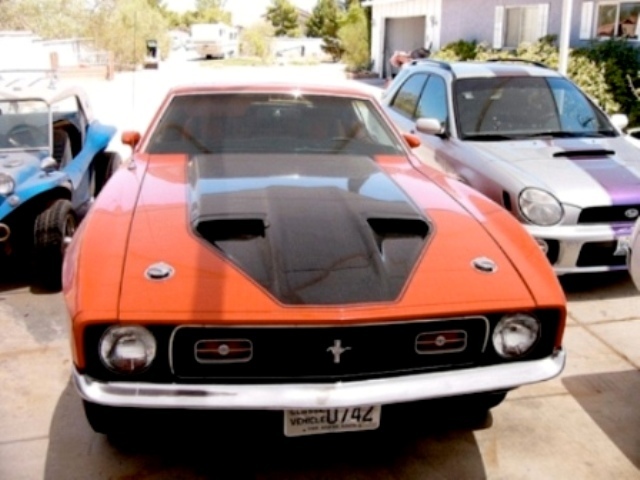 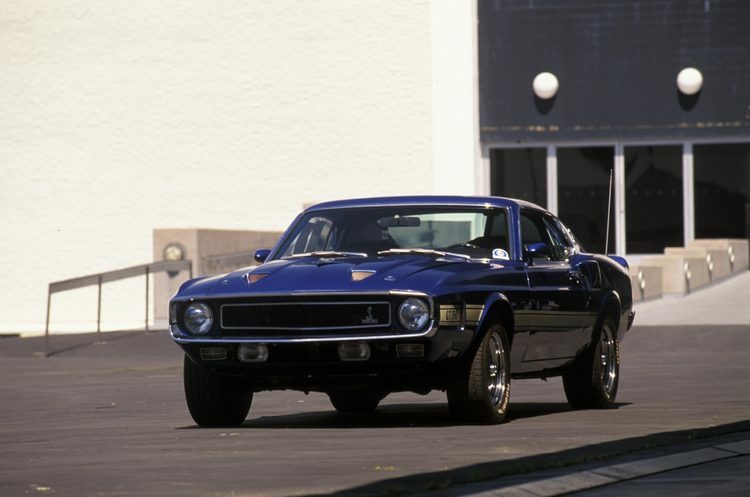 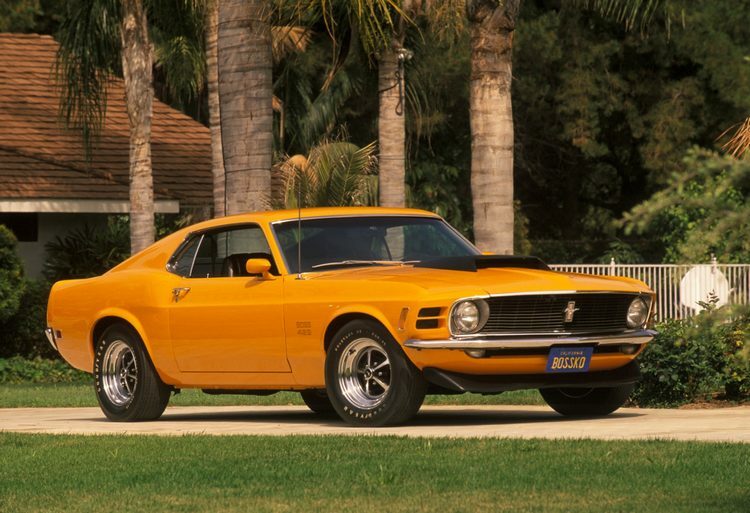 Additional Info: In 1971 the Mustang got even larger and heavier and had another restyle of the bodywork. 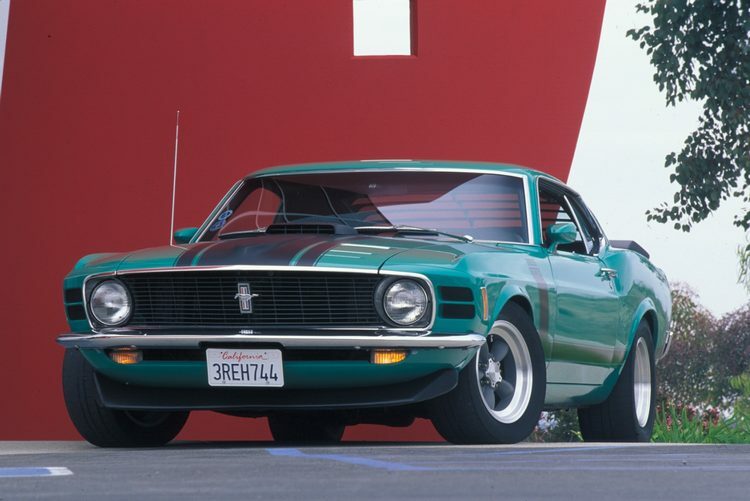 Power was down and engines available were now: a 145bhp straight 6, 210bhp 302cu V8, 240bhp and 285bhp 351cu V8, the Boss 351 (see above), a 370bhp Cobra Jet 429 V8 and a 375bhp 429 Supr Cobra Jet. 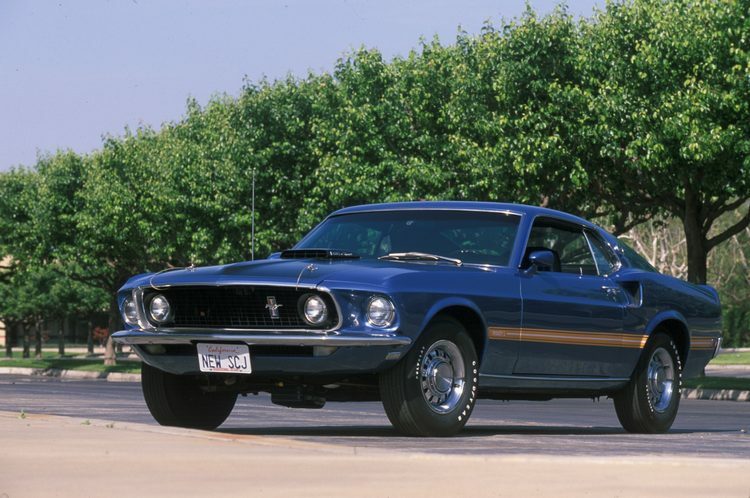 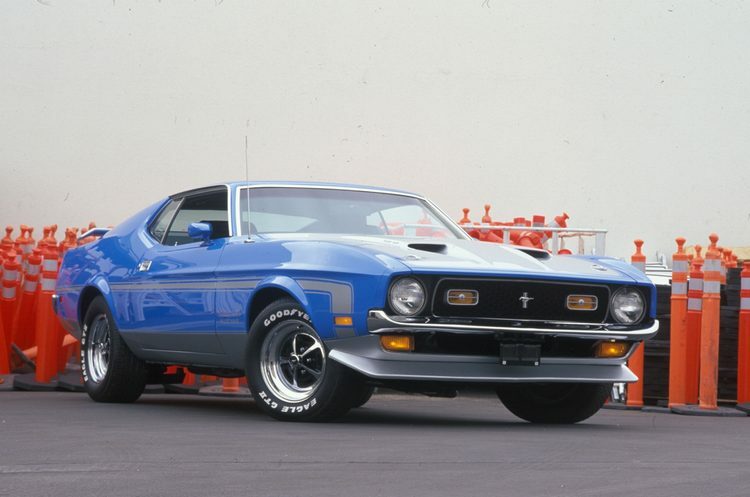 In 1972 power ratings were changed to net HP and the largest engine now available was the 351cu V8, of which the 275bhp 351 Mach 1 was the most powerful. 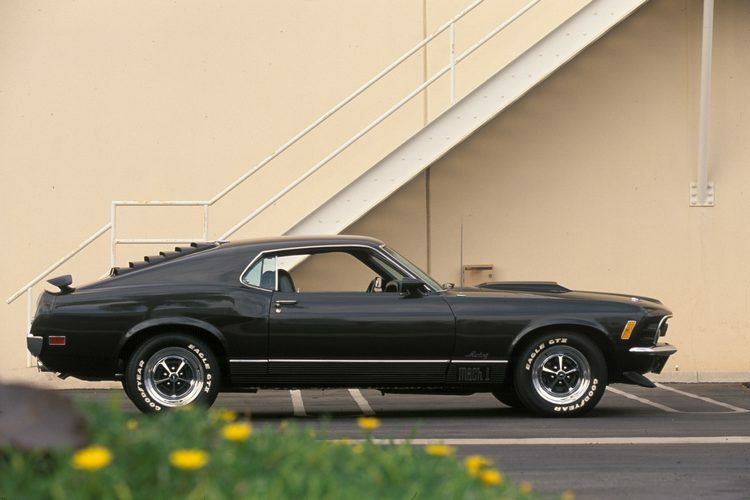 In 1973 power was down again, as emissions control came in and now the 351 was at an all time low of just 155bhp.